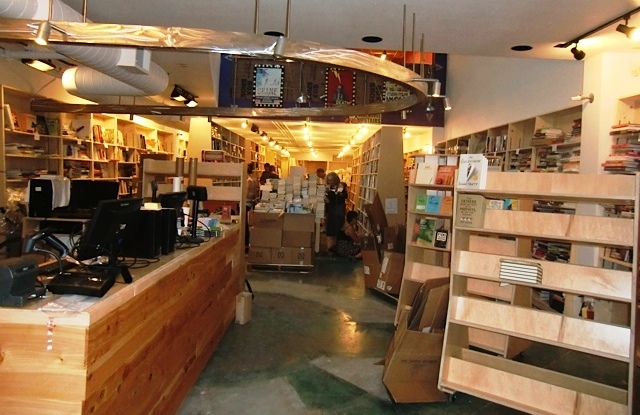 Interior of the new Green Apple Books on the Park. To prepare its second store for its opening this week, Green Apple Books invited customers and publishing friends to help unpack over the weekend, in what turned into a three-day party. Friday evening, store manager Stephen Sparks led a brief tour of Green Apple on the Park, which is less than a block from Golden Gate Park, in the Sunset section of San Francisco. Green Apple's original store is thriving in its long-time location almost directly across the park, in the Richmond neighborhood. The Sunset and the Richmond are both bustling neighborhoods that support a variety of local businesses that include boutiques, restaurants--and now two branches of one of the best indie bookstores in the country. HarperCollins rep Jim Hankey brought gourmet pizza, cheeses and fruit for those helping out on Friday evening in what will be his neighborhood store. 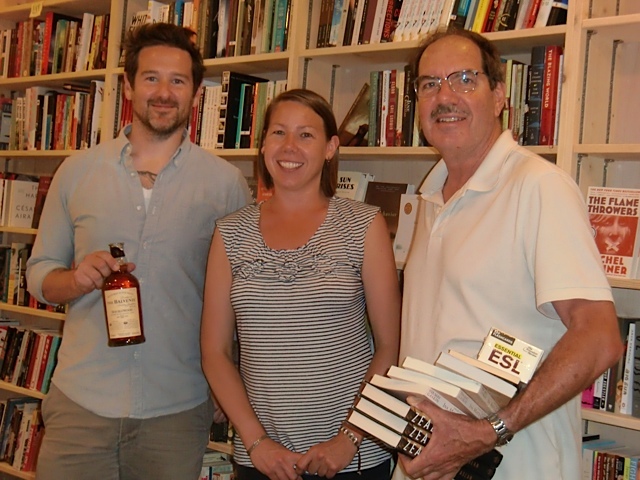 While it is not her neighborhood, Chronicle Books rep Anna-Lisa Sandstrum brought a bottle of Scotch to share with fellow book sorters and stackers (and mooching journalists). Hankey, who has lived in the inner Sunset for 30 years, noted there hasn't been a bookstore there since the early '80s, when a local couple ran a new and used bookstore (which also housed their pet rabbit), and, before that, when Green Apple's original owner, Rich Savoy, opened a little offshoot of the store. Store manager Stephen Sparks, with volunteers Anna-Lisa Sandstrum and Jim Hankey. Sparks noted that Green Apple's new store is taking the ground floor in a space it will share with Le Video, an widely acclaimed video store that is consolidating into the upstairs space. "People walking by are so excited not only that we are moving in, but also that Le Video is still going to still be here," said Sparks. Green Apple on the Park is about 2,500 square feet and will feature inventory that is two-thirds new and one-third used books--the opposite ratio of the much larger original store, Sparks said. Buying of used books will continue in the original store, which is also home to the Green Apple offices. Ashley Despain, Green Apple's children and young adult buyer, explained that the new store's children's corner has shelves designed for kids to climb on, which will also serve as seating for events. Booksellers Ashley Despain (r.) and Rosalyn Shyu arranging the kids' section. All told, Sparks said, 30-40 volunteers helped out over the weekend, "which really speaks to the community that gathers around a bookstore. Among them were Lise Solomon, our Consortium rep; PGW rep Ty Wilson; Perseus rep Adam Schnitzer; Beverly Fisher from Ingram/IPS; and Ethan Nosowsky, editorial director at Graywolf." Local resident Barbara Berman, poetry reviewer for the Rumpus, who plans to shop at both Green Apple locations, was eager to discuss book recommendations as she unpacked and shelved books--which is what you'd expect of a dedicated indie bookstore shopper. Sparks said he has heard people plan to come by Green Apple after they brunch. "We're going to be the brunch bookstore," he said. An unfortunate casualty of the purchase of Perseus distribution operations by Ingram Content Group became known late last week when the 24 publishers of Legato Publishers Group were informed by letter that Mark Suchomel, the former Independent Publishers Group president who founded Legato in May 2013, will not be "transitioning" to Ingram when the deal closes on July 31; Legato publishers will become part of Publishers Group West, for which Legato had been an affiliate. The letter, from Mark Ouimet, v-p and general manager, Ingram Publisher Services, said, "We believe this is an opportunity to enhance our service to you and to provide a more tightly integrated relationship with PGW." He added: "We appreciate all that Mark has done for you and the Legato business, and are grateful for his contributions in building Legato into the company it is today." The letter also indicated that Jeff Tegge, Legato v-p of sales, who formerly was v-p of sales at IPG, and Legato sales and marketing assistant Sarah Armstrong "will continue to work closely with you." Suchomel had left IPG in March 2013 after 27 years during which he rose from sales manager at Chicago Review Press to v-p, sales and marketing, to president and was the major force in building IPG. Almost all Legato's publishers used to be distributed by IPG, and the overriding reason they changed distributors was because they have worked with and respected Suchomel for many years. Since the move was announced, at least several Legato publishers have been very upset, to say the least. One used the words "sickened" and "saddened" and expressed wariness about the new relationship with Ingram. The Pledge of Independents, an Amazon boycott campaign launched earlier this month by the Abbey Bookshop in Paris, is spreading, the Bookseller reported, noting that "three more booksellers have signed up to the scheme--two in the U.S. and one in Scotland--asking customers and authors to promise not to buy books from Amazon or affiliates and to favor indies instead." The additional booksellers are Word Power Books in Edinburgh, the Clinton Book Shop, Clinton, N.J., and the Book Tavern, Augusta, Ga.
"Almost all our customers, most of whom are French, say they have been boycotting Amazon anyway, and many are prepared to go on record to say so," said Abbey founder Brian Spence. "That is very satisfying for a bookseller to hear." In other Amazon news, the company is opening five warehouses in India, doubling its storage capacity in the country and allowing it to extend same-day and next-day delivery services, Reuters said. Amazon has two warehouses in Mumbai and Bangalore; the new warehouses will be in Delhi, Chennai, Jaipur, Ahmedabad and on the outskirts of Gurgaon. The company's Indian website, which operates a marketplace for third-party vendors, launched in June 2013. Bel Kaufman, a former New York City schoolteacher whose classic first novel, Up the Down Staircase, "was hailed as a stunningly accurate portrait of life in an urban school when it was published in 1965" and has sold more than six million copies, died Friday, the New York Times reported. She was 103. She was born in 1911 in Berlin to Russian parents and grew up in Russia. 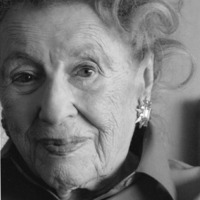 She was the granddaughter of Yiddish writer Sholom Aleichem. Campbell added that Love, Etc., published soon after Up the Down Staircase, was a favorite of hers and she found its sales of 300,000 copies disappointing. Open Road also has e-book editions of Up the Down Staircase and Love, Etc. Ironically for someone whose first language was Russian, the title of the Russian edition of Kaufman's best-known work is Up the Staircase that Leads Down, Campbell said. 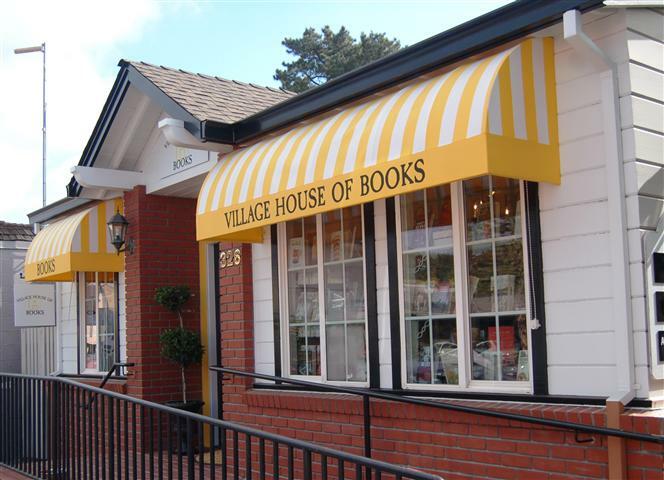 Cheryl and Steve Hare, the owners of Village House of Books in Los Gatos, Calif., are planning to open a second location in mid-August, approximately a mile away from their current store. At around 1,600 square feet, the new store will be double the size of the 800-square-foot original, and it will be in the heart of Los Gatos's downtown. "Our space right now is lovely," explained Cheryl Hare, who with her husband opened the store last August, just four weeks after their wedding. "We'll never give up this space. It's sweet and unique and charming. But we're tiny." The original store is also a bit off the beaten path, and its foot traffic is less than ideal. The new store, though, is right on Main Street, in the town center, and surrounded by restaurants and local shops, and is next to a park where the town hosts summer concerts. After the second store opens later this summer, the two stores will effectively "bookend" Los Gatos's downtown area. "It's a perfect opportunity for us," said Cheryl Hare. "We'll be able to stay open later and we'll get better foot traffic. 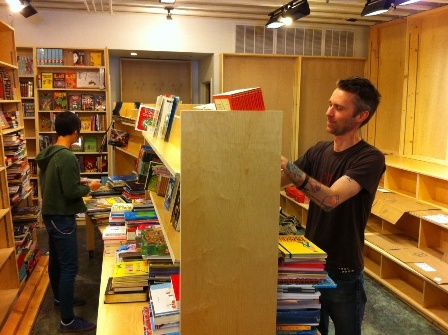 We're so excited about expanding and being able to carry more books." When asked at what point they began thinking about a second location, Steve Hare replied dryly: "Pretty much the moment we opened this one." The greater square footage will give Cheryl and Steve Hare space for more books, of course, but also much more room for events and signings. In terms of inventory and event offerings, the Hares said, the stores will largely feel the same. 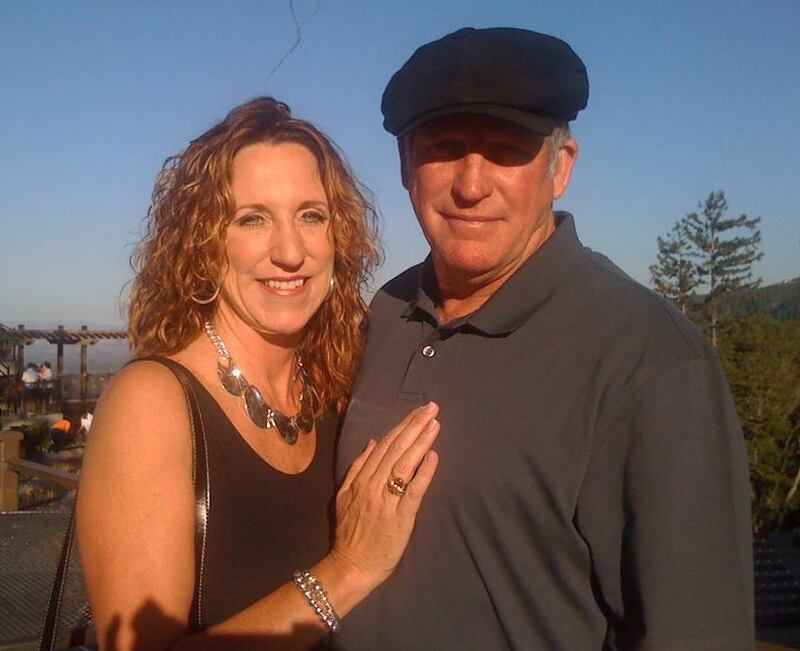 At present, Steve and Cheryl Hare are the only two employees, but expect they'll need to add help. The new location was once a toy store; the Hares first noticed the space while walking their dogs through downtown Los Gatos and were drawn to it immediately. Said Cheryl: "We thought, wow that would be great if it ever comes up. Then it did come up. And it was just a matter of putting our funds together." The Hares will have a big grand opening celebration for the new store, but at this point, the opening date is still in flux. But to promote the new store, the husband-and-wife team has taken a unusual approach: Steve Hare will ferry customers between the two stores and around Los Gatos in a pedicab painted with the store's logo and dubbed the "Village House of Books Buggy." Novelist Burt Weissbourd is partnering with the Yellowstone Park Foundation to help raise awareness about the park. Yellowstone is the setting for Weissbourd's In Velvet (Rare Bird Books), a kind of eco-thriller. 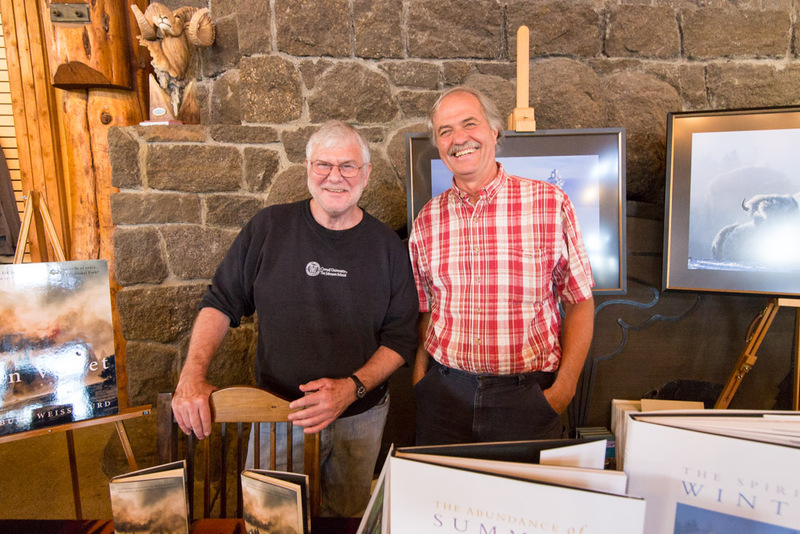 Pictured here: Weissbourd selling books at Old Faithful General Store with wildlife photographer Tom Murphy, who took the cover and interior photos for In Velvet. 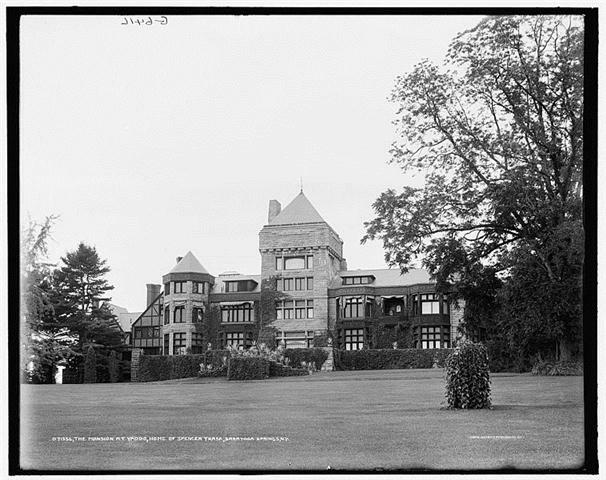 The legendary Yaddo retreat for authors, painters, sculptors, musicians and other artists in Saratoga Springs, N.Y., "unveiled a bronze plaque Saturday to celebrate its designation as a National Historical Landmark," the Saratogian reported. The ceremony, featuring U.S. Senator Kirsten Gillibrand, U.S. Representative Paul Tonko and State Senator Kathy Marchione, "comes as the Yaddo's administrators are embarking on a capital program over the next five years to make needed improvements." "There's so much culture and history here in Saratoga and particularly here at this place," Gillibrand said. "Yaddo is at the heart of all of this. If we go down through the list of some of the most influential, creative minds in our country's history--Truman Capote, Leonard Bernstein, Langston Hughes, just to name a few--they all share one very important trait. They spent time here honing and cultivating their crafts right at these beautiful grounds." Elaina Richardson, president of the Corporation of Yaddo, added: "These buildings obviously do need a lot of care.... We have begun to reach out to people and think about what it is going to take to really be able to guarantee that these buildings provide good working conditions for the next generation of talented and remarkable artists." In September, will be open to the general public "for guided tours of the historic mansion and other sites on the private portion of the estate for the first time since 2011, and only the sixth time in its history," Saratoga Wire reported, adding: "Except for the gardens, Yaddo is closed to the public to ensure good working conditions for the more than 200 artists who are invited each year to spend two weeks to two months at Yaddo dedicating themselves to their creative efforts. Proceeds from the tours will support Yaddo's artist residency program and repairs to structures in the Yaddo Gardens." Malaprop's Bookstore/Café, Asheville, N.C., is partnering with Alan Gratz, author of eight books for young readers, in a promotion for his new middle-grade fantasy title, The League of Seven (Tor/Starscape), the first in a trilogy. Bookselling This Week reported that readers who order the book prior to its August 19 on-sale date from Malaprop's "will receive a specially printed, numbered chapbook featuring 'Join, or Die,' a short story prequel to the trilogy. 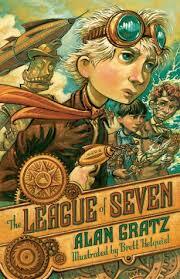 Gratz will also sign and personalize preordered copies of The League of Seven." "We're honored to enjoy such a mutually supportive relationship with a favorite, very talented local author," said Malaprop's general manager Linda Marie Barrett. "And since we've talked with Alan, we are hearing from other authors who would like to do similar projects that offer Malaprop's exclusive items to pair with preorders of new titles." Gratz added: "When it came time to promote The League of Seven, I wanted to find a way to not just sell books, but to sell books through Malaprop's. 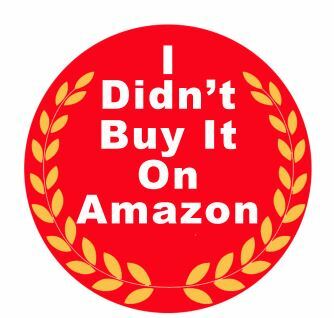 I'd seen online retailers offer digital short stories that download free with the purchase of e-books, so I thought, why can't Malaprop's and I do the same thing with my good old-fashioned print book and a specially printed short story?" "These projects are exactly the kind of promotions we, indies, excel at offering to our customers," Barrett added. "We can demonstrate excellent customer service in how we personally handle the orders and imagination in creating special offers. We also create deeper connections with our local authors and their fan bases near and far." 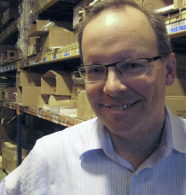 Kerry Eltman has joined Fox Chapel Publishing as CFO. He has had more than 20 years of experience in finance at local companies and governmental agencies, including the Jay Group, Garden Spot Distributors and Lancaster County Tax Collection Bureau. Catherine A. Hogewood has been promoted to general counsel of Books-A-Million. She was formerly associate counsel. Before joining the company in 2007, she was associate counsel for the Lloyd, Gray, Whitehead and Monroe law firm in Birmingham, Ala. The Magician's Land by Lev Grossman (Viking), the conclusion to the Magicians trilogy. The trailer guest stars include Michelle Hodkin, Ryan North, Gregory Maguire, Peter Straub, Terry Brooks, Gary Shteyngart, Rainbow Rowell, Charles Stross, Patrick Rothfuss, J. Courtney Sullivan, Neil Gaiman, Ameriie and Erin Morgenstern. "People have been trying to make a feature film of (my novel) Outlander for the last 20 years. I said to (executive producer) Ron Moore that I have seen scripts that made me turn white and burst into flames," Diana Gabaldon recalled during a Starz Comic-Con panel over the weekend during which the author and cast "recounted how the bestselling international novel finally saw its way to a visual medium," wrote Deadline.com in featuring a new trailer for the TV series. Starz also released the opening credits with theme song this weekend. This morning on CBS This Morning: Douglas Brinkley, co-author of The Nixon Tapes: 1971-1972 (Houghton Mifflin Harcourt, $35, 9780544274150). He will also appear on CNN Tonight. Today on NPR's Diane Rehm Show: John W. Dean, author of The Nixon Defense: What He Knew and When He Knew It (Viking, $35, 9780670025367). He will also appear on CNN Tonight. Today on Tavis Smiley: Ron Capps, author of Seriously Not All Right: Five Wars in Ten Years (Schaffner Press, $25, 9781936182589). Also on Tavis Smiley: Philip Bailey, co-author of Shining Star: Braving the Elements of Earth, Wind & Fire (Viking, $27.95, 9780670785889). Tonight on ABC's World News Tonight: Benoit Denizet-Lewis, author of Travels With Casey (Simon & Schuster, $26, 9781439146934). Tonight on the Daily Show: Sonia Nazario, author of Enrique's Journey: The Story of a Boy's Dangerous Odyssey to Reunite with His Mother (Random House, $16, 9780812971781). Tomorrow on Dr. Oz: Andrea Q. Robinson, author of Toss the Gloss: Beauty Tips, Tricks & Truths for Women 50+ (Seal Press, $24, 9781580054904). Tomorrow on Bravo's Watch What Happens Live: Joan Rivers, author of Diary of a Mad Diva (Berkley, $26.95, 9780425269022). Tomorrow on Tavis Smiley: Bill Medley, co-author of The Time of My Life: A Righteous Brother's Memoir (Da Capo, $26.99, 9780306823169). Tomorrow night on the Late Show with David Letterman: Judy Greer, author of I Don't Know What You Know Me From: Confessions of a Co-Star (Doubleday, $25.95, 9780385537889). At the Baseball Hall of Fame's Doubleday Field in Cooperstown, N.Y., on Saturday, 93-year-old Roger Angell, "graceful master of prose for the New Yorker for five decades and counting," was honored with the J.G. Taylor Spink Award "for meritorious contributions to baseball writing." MLB.com noted: "That honor--the highest that can be bestowed upon a baseball writer--was a triumph of ability and detached perspective over the unanimity of tradition. Angell is the first writer to win the Spink Award despite never having been a member of the Baseball Writers' Association of America, who vote on the award each year." "I'm the guy who would attend games year after year and stay late to talk to players," Angell said. "And then I'd get in a cab and go home, while all the other writers had to work against deadline. It was not a very popular position.... I wrote later and longer, and that's pretty tough to forgive. But they've forgiven me, and here I am. I'm delighted." He also noted that his "gratitude always goes back to baseball itself, which turned out to be so familiar and so startling, so spacious and exacting. So easy-looking and so heartbreakingly difficult that it filled up my notebooks and the seasons in a rush. A pastime, indeed." 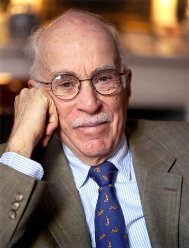 In Sports Illustrated last week, Tom Verducci wrote: "Over the last half-century nobody has written baseball better than Roger Angell of the New Yorker. What he does with words, even today at 93, is what Mays did in centerfield and what Koufax did on the mound. His superior elegance and skill are obvious even to the untrained eye." Academia makes an easy target for satire--novelists as different as Kingsley Amis and Richard Russo have taken aim at it. Julie Schumacher (novelist and faculty member in the departments of English and Creative Writing at the University of Minnesota) is the latest "insider" to do so. Cleverly, she has crafted Dear Committee Members as a series of letters of recommendation from curmudgeonly Jason Fitger, tenured professor of Creative Writing and English at the fictional Payne University ("Teach 'til It Hurts"). Amid the defunding of his English department and shrinking remodel of its offices, Fitger's modest academic life is one of divorce, disappointment and disgruntlement. But he takes seriously his responsibility to support his students and agrees to all requests to send letters of recommendation, no matter how far-fetched the employment opportunity. As he says in a letter to the director of a childcare center in regard to one of his former students: "I have penned more than 1,300 letters of recommendation, many of them enthusiastic, some a cry of despair." Fitger's often rambling letters not only display his caustic distaste for university administrative bureaucracy, with its "endless requests for redundant documentation," but also cumulatively paint a picture of a once-optimistic graduate student who has lost his wife, his literary agent and his self-respect. Fitger's students come in all sizes and interests, and he does his best to find a postgraduate fit for them, even if it has nothing to do with writing--a pursuit at which only a few excel. For one, he gins up something positive, noting that the student "has bona fide thoughts and knows how to apportion them into relatively grammatical sentences." Another has the "ability to form coherent sentences not randomly punctuated by 'like' or 'really.' " Fitger even supports one who is applying to medical school, suggesting that perhaps she hopes "to join the ranks of physician-writers who, not content to leave the pursuit of literary success to the starving artist, complement their million-dollar salaries with Random House contracts." However, Fitger saves his most sincere recommendation letters for Darren Browles, a talented student trying to finish his "powerhouse" novel reinterpreting Melville's "Bartleby, the Scrivener." As Darren is rejected for one fellowship or teaching job after another, Fitger steadfastly sends out more letters on the young man's behalf to his erstwhile agent, his own former seminar professor, the university radio station, even an RV park looking for an assistant manager--the death spiral of a writer's Dantean circles of Hell. Gradually, Schumacher peels aside Fitger's tough façade to show a man who still believes in the power of literature and the role of teaching. He is perhaps most genuine in one letter where he describes his student as "not yet a candle ready to illuminate anyone else's darkness, but he understands that darkness exists, and he does not turn away." Can we ask anything more than this from a college education that still holds on to the study of literature and hasn't slipped finally and irrevocably into vocational practicality? --Bruce Jacobs, founding partner, Watermark Books & Cafe, Wichita, Kan. Shelf Talker: In a clever epistolary send-up of academic logrolling, Julie Schumacher's funny new novel is the story of a disgruntled English professor still clinging to hope for his writing students.